The definitive guide to the world's best beer destinations, from beer expert Stephen Beaumont. From the walkable breweries of Ashville, North Carolina, to the Olfestival in Copenhagen, Oktoberfest in Brazil to the breweries of Beijing, discover 101 traditional, quirky, absurd, must-visit beer destinations across the globe. Find the world's most romantic pub crawl in Bruges, drink beer in paradise in Latin America or step into Germany via Bangkok, Thailand. 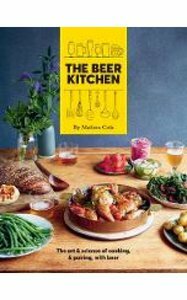 Complete with tasting notes, drinking tips and handy address lists, this is the perfect gift for both beer enthusiasts and keen travellers alike.